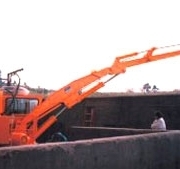 North Pacific Crane manufactures refuse equipment cranes for use in waste collection industries. 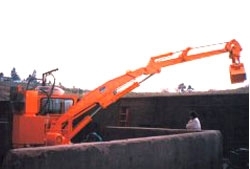 Our two-piece knuckle-boom cranes are designed specifically for the solid waste industry, and can be custom designed to suit your requirements. Our Refuse Equipment Cranes feature a hydraulic grapple designed to sort or compact waste material (10,000 lbs. compaction force). 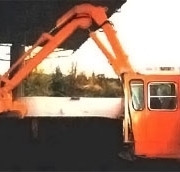 The grapple can be used for compacting in both open and closed positions. 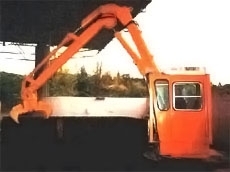 The grapple is mounted to the boom to provide hydraulic wrist action, with continuous rotation up to 1/2 cubic yard. Our Refuse Equipment Cranes also include hydraulic remote controls, optional ride-around platform, and hydraulic power pack. Also, our cranes are designed for continuous duty cycles, and include a complete parts and service backup.